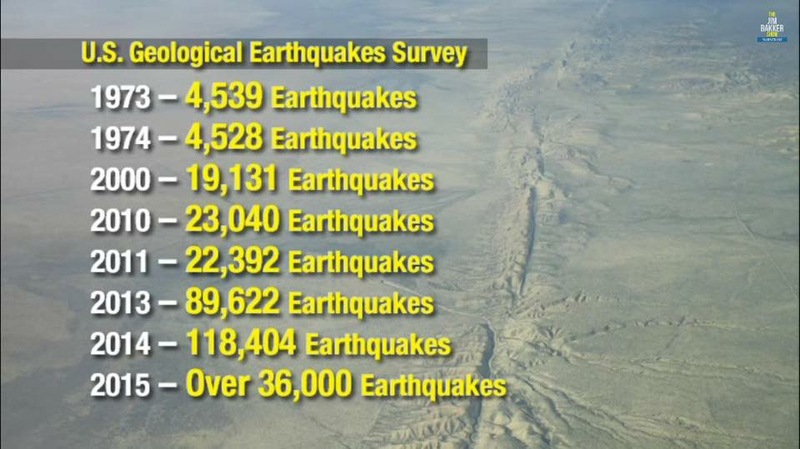 Earthquakes on the rise, USGS stats confirm. Jesus predicted 2000 yrs ago, "And GREAT EARTHquakes shall be in divers places, and famines, and pestilences; and FEARFUL sights and great signs shall there be from HEAVEN." (Luke 21:11) Christians, signs BELOW being fulfilled...now watch for signs from ABOVE! The data seems to be a little selective, and I assume earthquake detection instruments have increased in both number and sensitivity since 1973. 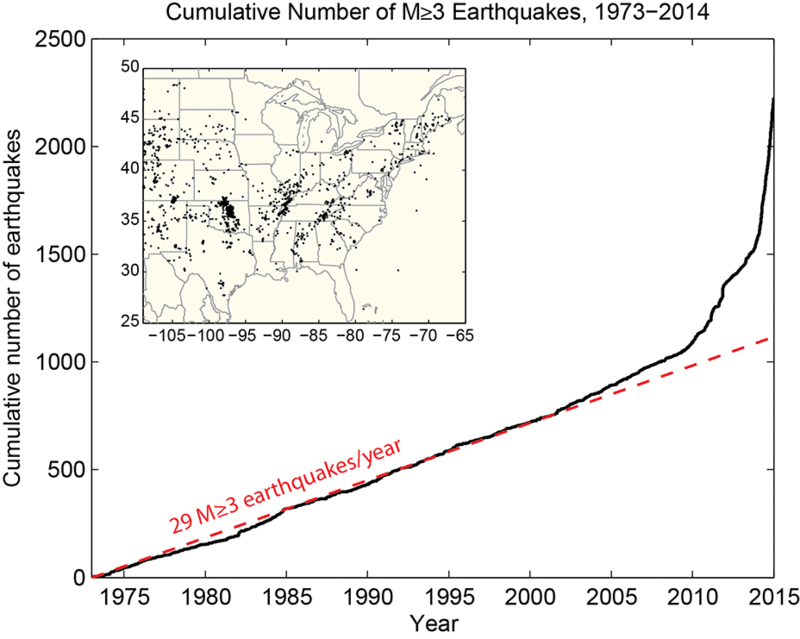 Are earthquakes numbers increasing significantly and consistently since 1973? The title of this 2011 paper pretty much answers the question by itself: Global risk of big earthquakes has not recently increased. They noted that there had been an increase in large earthquakes in 2004-2011, and some other apparent clustering, and looked back over the data since 1900 to see if there was sufficient statistical evidence to suggest that large earthquakes were occurring more frequently, or whether it could just be explained by chance. Our conclusion that the global threat of large earthquakes has not recently increased is based both on the lack of statistical evidence that regionally declustered seismicity is temporally heterogeneous on a global scale and on the implausibility of physical mechanisms proposed to explain global clustering. [...] The recent elevated rate of large earthquakes has increased estimates of large earthquake danger: The empirical rate of such events is higher than before. However, there is no evidence that the rate of the underlying process has changed. In other words, there is no evidence that the risk has changed, but our estimates of the risk have changed. While this focussed on large (Magnitude 7 and above) earthquakes, rather than all measured earthquakes, like the source infographic did, I think this is appropriate because (a) it lowers any effect caused by sampling error reduced as more numerous and more sensitive equipment is produced and (b) magnitude 1 and 2 tremors aren't what people are thinking when they hear the word 'earthquake'. I cannot confirm the numbers in the original image, although some of the recent numbers appear to be roughly consistent with USGS numbers. However, the general point seems to be correct: the number of earthquakes has been increasing per year. But, the pastor is not correct: the number of "great" earthquakes is not increasing (see the response by Oddthinking). That is, the number of small earthquakes has been increasing by a large factor in some areas, almost certainly due to humans (wastewater injection wells from fracking, etc), while the number of large earthquakes has not. For example, this USGS site shows that the rate of earthquakes from much of the US was roughly constant until the year 2000, but has been rapidly increasing since then. The seismicity rate in 2013 was 70 times greater than the background seismicity rate observed in Oklahoma prior to 2008. While unlikely, this rate could have been potentially explained by natural variations in earthquake rates from naturally occurring swarms. The seismicity rate is now about 600 times greater than the background seismicity rate, and is very unlikely the result of a natural process. I'm not exactly clear on how these large, local increases in earthquakes would change the global number of earthquakes, but it should make the original claim plausible. Not the answer you're looking for? Browse other questions tagged united-states geology . Can earthquakes be triggered thousands of miles away? Can animals detect earthquakes through low radio-frequencies? Can big earthquakes trigger a domino effect? Can Jim Berkland predict earthquakes? Do the military have the technology to trigger earthquakes? Can earthquakes and volcanoes be due or overdue? Can “Seismic Blasting” from a ship induce massive earthquakes?